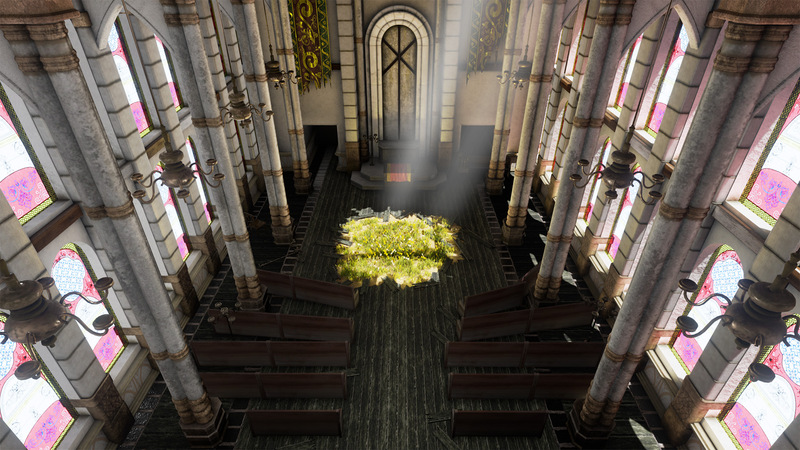 I’ve updated AerithsChurch to version 1.2. This adds support for the Oculus SDK 0.8. Head will not cast a shadow anymore. Added stairs to exits in back.